The PR005 is the Tilt Base for the PR10E and PR20EVS Bosch Palm Routers. 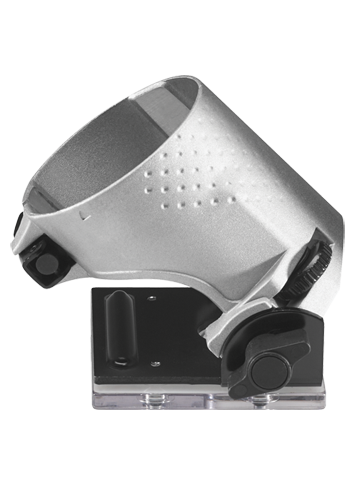 It features and quick-release clamp to allow both macro and micro fiine depth adjustment. The tilt angle is also easily adjustable. Its construction includes an aluminum housing and and steel base.